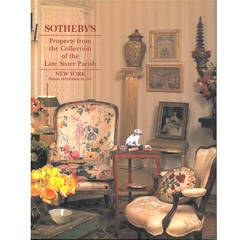 Sotheby's; The American Folk Art Collection of Mr. and Mrs. H. John Thayer. 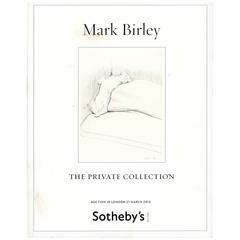 New York: Sotheby's, 1987. Unpaginated softcover. The single-owner sale includes the Thayer families collection of folk art furniture, artwork, fashion, toys, pottery, decoys and much more. 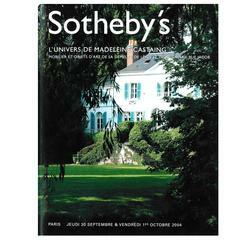 Sotheby's Auction Catalogue: The Collection of Mr. and Mrs. Martin Gersh, New York, Oct. 18, 2006. 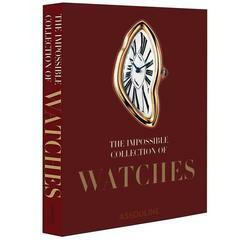 Softcover auction catalogue. Important English furniture, ceramics and silver.